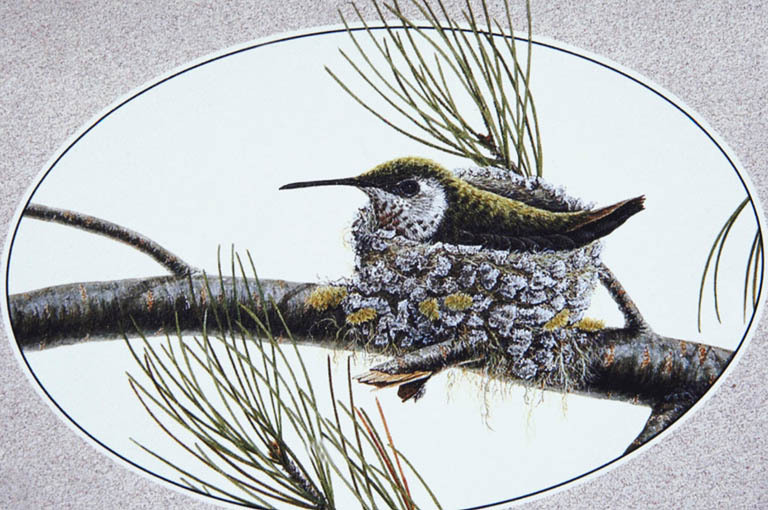 When I wanted to get fancy, I would add branches to the top of the tree, and a hole such as a bird might like to nest in. The truth about trees, as is often the case, is much more wonderful in real life. Take bark, for instance. The next time you have a minute and you are going by a stand of trees, take a minute to stop and look just at the bark on the trees. 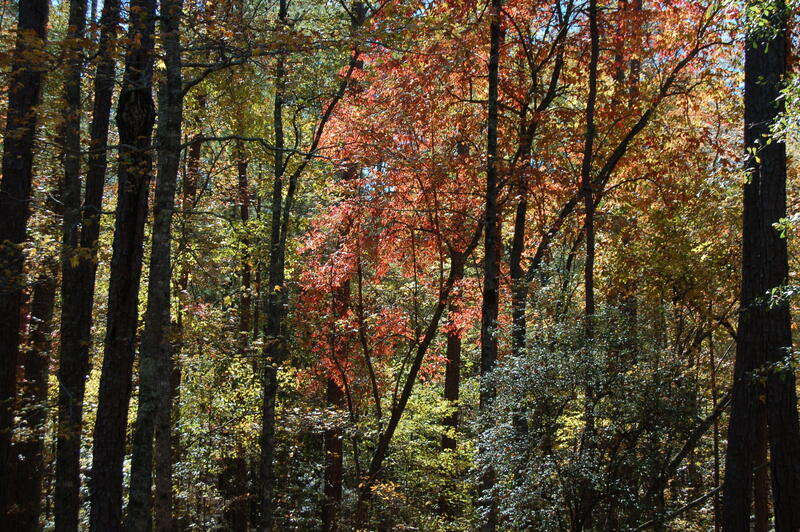 Notice how each type of tree bark has its own color and shape and patterns. Notice how almost none of them are the true brown that we used in grade school – the marvelous variations of gray and brown and shades in between is unlimited! While I am by no means a botanist or an arborist, I do recognize a few kinds of trees, so I though I would share photographs of their bark with you, just to get you started. 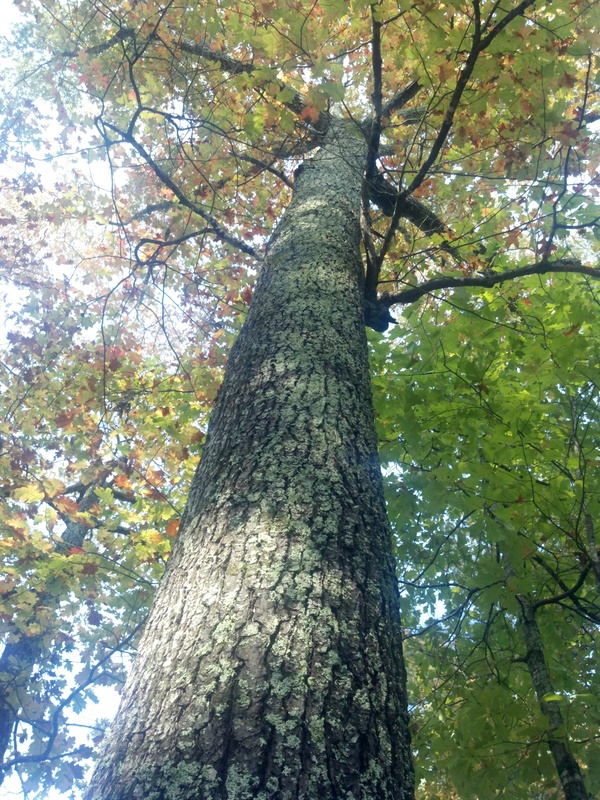 This beautiful oak tree was right outside our camper this weekend at Joe Wheeler State Park in Rogersville, Alabama. 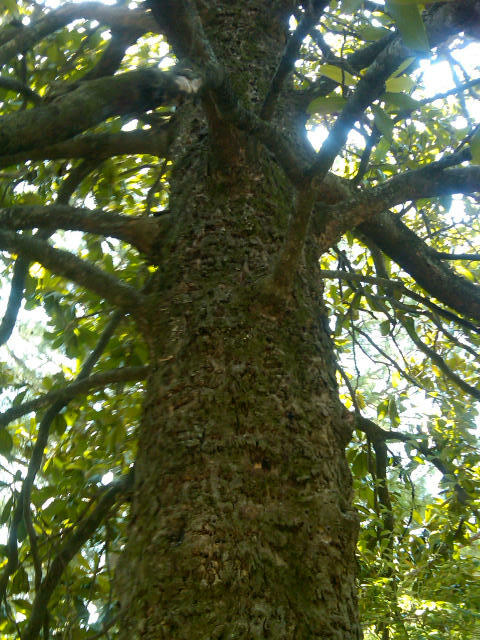 Here is a photograph of the tree with me looking up that is just too pretty not to share. In the spring, the beautiful dogwoods grace Southern woods and yards with unique, four-petaled white flowers. 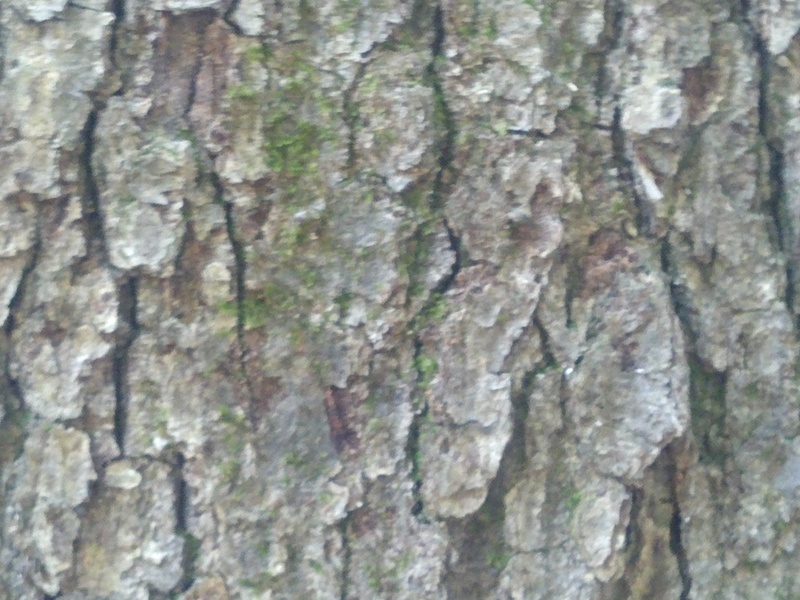 Here is a picture of one dogwood tree’s bark last weekend. 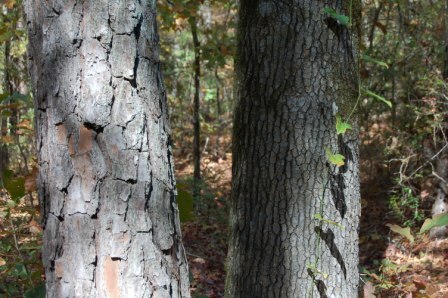 Pine trees also abound in the South. Very few flowers on trees survive the hot, humid Southern summer, but the crepe myrtle is one of the few that do. (I’m not entirely sure if the crepe myrtle is a tree or shrub, but it definitely has wood in its trunk!) It’s bark is very smooth, and a sort of tan color. 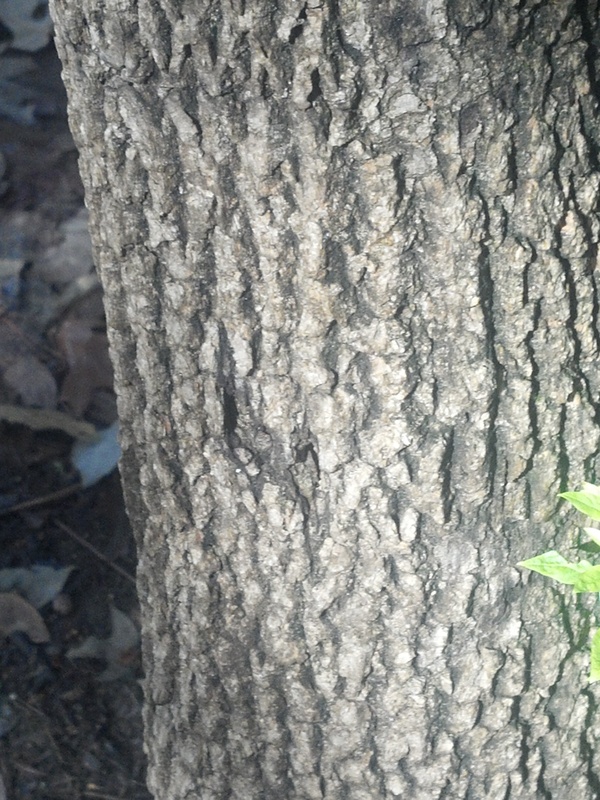 From five trees, we have five different kinds of bark. This level of texture is something we don’t often take the time to really view and admire, but sometime this week or weekend, take just a few minutes to do so. The sense of wonder and admiration at the variety and abundance of nature’s giants will be well worth your time. 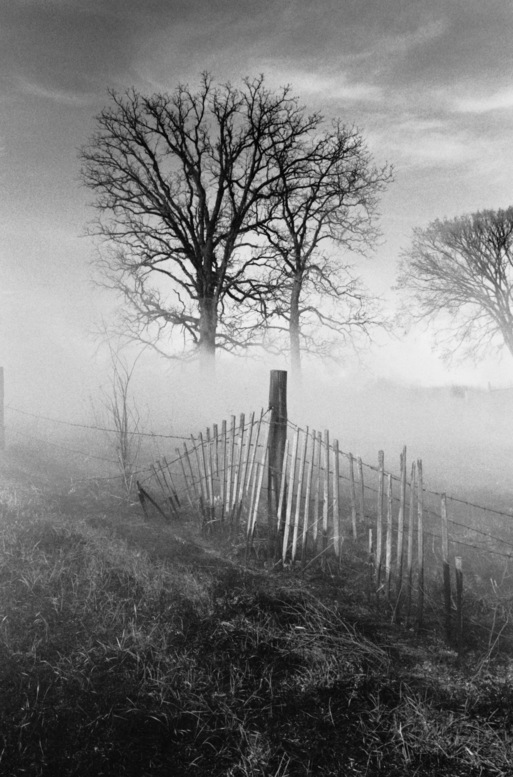 While I was out walking Tyra today at 6:30 a.m., which due to the time change my body still unhappily believes to be 5:30 a.m., the entire area was covered in fog. Not the thick, can’t see in front of your face fog, but the kind of fog that softens the lines of the trees and the road and the lake around you. If you don’t have to drive in it, it is beautiful. But, strangely, the new moon, which was still out, was sharp and clear in the sky above – yet surrounded, from my earthly perspective, by fog. I wonder how it did that? The birds were wide awake already also, singing their hearts out. I didn’t hear the woodpecker (the only sound I would have recognized besides a crow’s caw), but there were multiple songs in the woods around me, which made me wonder why birds sing in the morning. I looked it up, and alas, because there is no definitive answer and none of the existing theories are particular attractive to me, I don’t have a good answer for you. I am choosing to believe that the birds sing in order to greet the day, until the scientists make a final decision otherwise (and I’m sure they will). It is fascinating to me, though, the mysteries that still exist for us in nature. 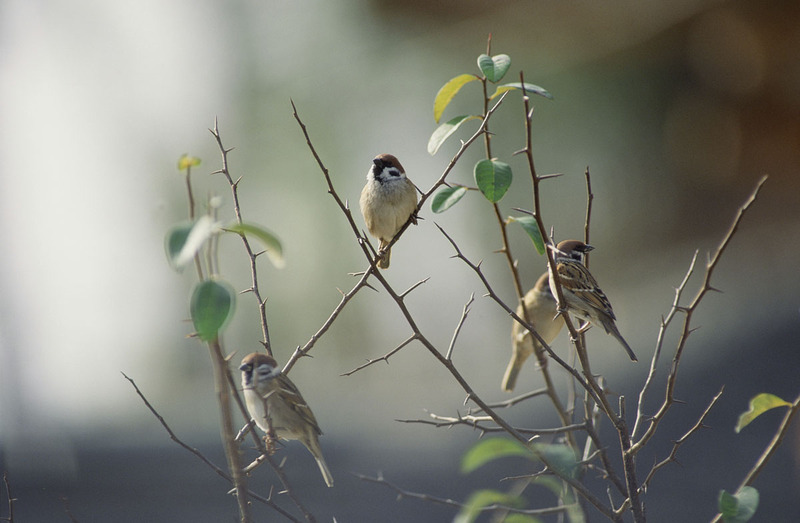 Just using the bird song example, mankind has known for centuries, if not millenia, that birds sing in the morning. Even so, in the year 2012, we don’t have a definitive answer as to why. Person: Hello Bird. Can you tell me why you are singing this morning? Bird, named George (all in bird language): Hey, Fred, get a load of this dude! It almost looks like he’s trying to talk to us. Fred flits over for a minute: That’s silly. Everyone knows humans can’t talk. Person: Are you trying to tell me something? Betty Jean, from the nest: I think he is trying to talk. George: He may be, but it’s not coming through. Fred: Hey, you want to have a little fun? George: What do you mean? Fred: I could start to dive bomb him like I thought he was threatening Betty’s nest. I bet I could have him running in six seconds! George starts laughing: That’s a good one. Betty Jean: Fred, don’t you dare! He isn’t bothering us. Person pulls out notebook and writes. Fred: What’s that he’s doing? Betty Jean: I think its called writing. I nested in a bush near a window one year, and they … um… write… in two ways – the way this guy is doing it and somehow by hitting small black rectangles and watching a white big rectangle while they do so. I’m not sure why, though. George: Oh, that part’s easy. Humans have the worst memory in the universe, so they have tried to cope by …. I think the word is “record” things. Fred: Hey, guys, watch this! I can make this human freeze in one move. Betty: Fred, you better behave. Fred: No worries, Betty. In fact, I’ll probably make his day by doing this. Fred flies down to five feet in front of Person, who immediately stands still, watching. Fred hops around, doing bird things at random, like singing, cocking his head and watching Person, poking his beak in the ground, and making Person turn in a circle slowly by hopping around him in stages. Betty and George smother giggles. Fred calls up from the ground: I can do this for hours, and the Person will stay right there and watch. Silly, isn’t it? Betty: Oh, that’s funny, Fred, but George, dear, I’m hungry. George: Okay, Betty, I’m on my way. Hey, Fred, enough play for now; we’ve got work to do. Fred, reluctantly flies back into the woods. Person recedes in the distance, scribbling notes the whole way. 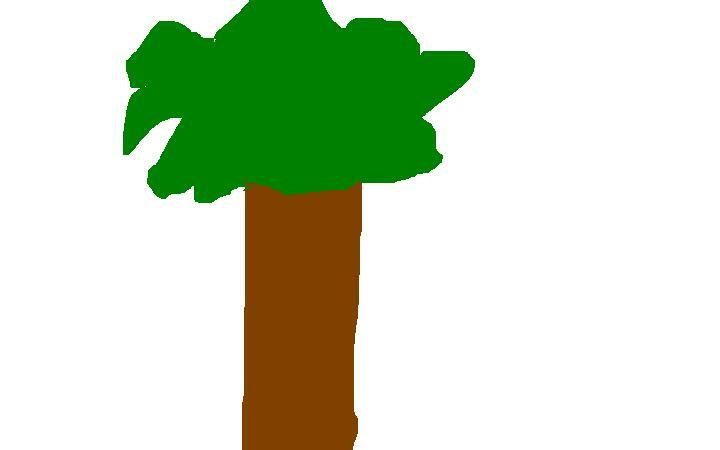 I want to thank everyone who played “Guess Which Tree” along with me yesterday. It was really interesting to read everyone’s answers, and I learned something in reading them, too. I’ll give any of you who didn’t participate yesterday one last chance to take your guess – the question was, which one of the two trees shown in the picture is a pine tree? And the winner is …..the tree on the left! As several people commented, it is the bark on the tree that gives it away as a pine tree. It also occurred to me as I studied the pictures after I took them that I don’t recall ever seeing moss grow on a pine tree in the Southeast United States before, but that may just be because I haven’t been looking. 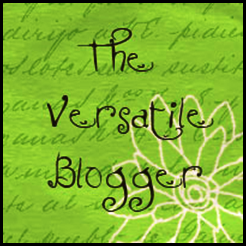 (My more woodsy/hiking friends – does moss usually grow on pine trees?) Mark says that the tree on the right is an oak tree. I wouldn’t know; I can recognize and name a pine tree, a ginkgo tree, a dogwood, a Bradford Pear Tree and a magnolia tree, and that’s about it. Fortunately, whether you chose the correct tree or not, you still won this challenge. How? 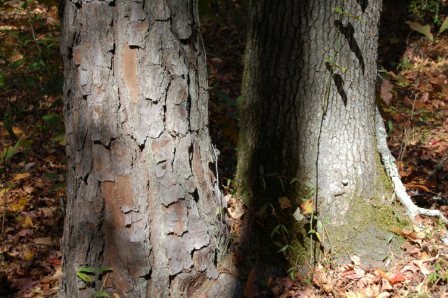 To even make a choice, you had to really look at both trees; you had to admire the difference between them in terms of bark texture and bark color; you had to discard most of the ideas our mind automatically “sees” when it hears the word “tree,” such as branches and leaves, and recognize a tree. In a nutshell, then, the point of the exercise was to remind me (and maybe one or two others out there) that sometimes, it is okay to forget about the forest and admire the trees. I hope you got a chance to do that yesterday. And, of course, the view of the forest is worthwhile too…..
Today I am going to try something just a little bit different – the six of us, Mark, Kayla and I as well as Tyra, Mandy and Darwin, took the hour and a half drive over to Callaway Gardens Saturday. (More about that tomorrow!) I am sure you will be relieved to know that Mark, and not Mandy, drove, although Mandy did spend most of the drive standing with one set of feet on the middle console, with her head pressed against either Mark’s or my shoulder, and the other set of feet in the back seat. We’ve never had a dog that could do that before. Guessing is permitted, of course; however if you are guessing, please note that your reason for picking the pine tree as the one on the right, or left, is a “WAG.” (WAG is a term that is sometimes used around my firm – it stands for Wild *** Guess). I’ll let you know the answer tomorrow! Please, guys, play along with me on this one; I have an ulterior motive I’ll share with you tomorrow, too. Now, if you’ll excuse me, I have to go rescue a stray handkerchief that has fallen into the clutches of Bad Dog and convince No No to leave her alone about it before he gets in trouble, too! 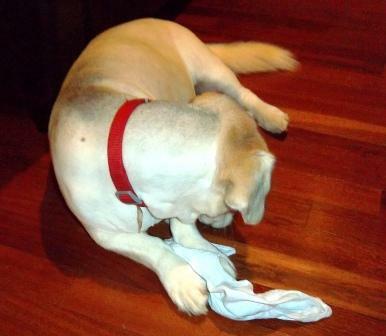 Bad Dog Caught With A Handkerchief!